As fall approaches and many of us are winding down our triathlon season, the biggest and most iconic race in our sport nears. For those that have earned the right to be in the water at Dig Me Beach when the cannon goes off, you need to figure out why you are there and what you are looking to accomplish. There are only two reasons as far as I am concerned. Some will say there are plenty of areas in between and maybe there are, but for me it is binary, but then again, some say I am little messed up in the head. Are you willing to turn yourself inside out, throw caution to wind and do something special, something that you wouldn’t have thought you were capable of? If the former, no shame in that. Great accomplishment and achievement making it to the big island and hanging out with the world’s best. You are roughly the top 2% of those that do this sport just by qualifying. You have 17 hours to finish and you will not be alone. Enjoy your day. If the latter, you are there to match yourself up against the hardest headed, self-motivated and driven type A’s in the world. For me, this is why I compete. If I am going to enter a race; it is a race after all; I am going to do everything I can to cross that finish line knowing I had nothing else left to give on that day. That may mean crashing and burning and having a historic meltdown and has always resulted in me going to the medical tent after this race. But maybe, just maybe, that may mean doing something that you never thought possible. The human body is capable of so much more than we realize and can comprehend. It is our minds’ that get in the way of achieving our full potential. Every time I hear, I need to ride “my watts” or I can’t go over “X”, a piece of me dies. I am not suggesting to go FTP from the gun, but we should be racing to see what our potential is. Often times, that may mean we fail, but on that special day, it will mean you are able to accomplish what you previously thought impossible. That is what motivates me and should motivate you. To be great and do what you previously thought unachievable, it needs to hurt. You need to second guess yourself. You need to think this is insane and there is no way you can maintain this. If you go easier because the conditions are harder, then you have already lost. This is the World Championships – you should be going harder! It should be tougher than anything you have experienced. It is tougher for everyone and if you are able to mentally push through that, you will feel something you have never felt before. For me, nothing is worse than not giving every ounce that I had. The sporting events where I have not laid it on the line or let up, I lay in bed thinking about at night. The what if, the should’ve been moments – those are the ones that will haunt me until the day I die. You need to embrace the pain and learn how to suffer. Only then can you truly achieve what you are capable of. The individuals that perform the best are the ones willing to take that chance and go further than they ever thought possible. Every race is not going to be their race, but the day that is their day, is the day that they will remember for the rest of their lives. 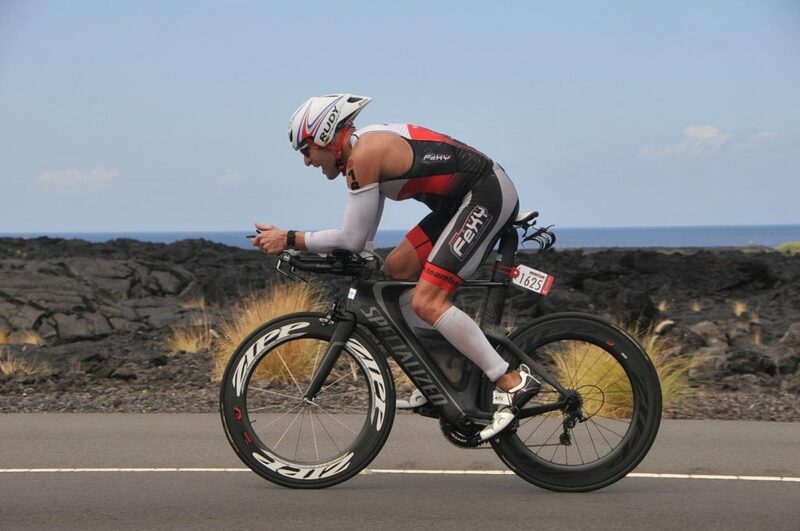 With that – my advice is to get in the mix in the swim and push the bike. The harder you ride, the less the wind affects you. You need to be alert but if you are not pushing yourself, then you will never know what was possible. If you are riding hard, the cross winds, head winds and swirling winds are just that and as everyone else is thinking about them, you are passing them. Do not skip an aid station and force yourself to drink more than you ever had. You will lose more hydration and electrolytes than you can replace, so don’t miss an opportunity to get what you can in. For the run, steady and strong. Feed off the energy of the island, those cheering you on and your competitors. Get something to drink (multiple drinks) at every aid station and find a reason to embrace the pain. For some it is memories where you have excelled that make you feel good, for others, it is times where you didn’t achieve what you were capable of that motivate you. Figure out what works for you and find a gear you didn’t know you had. It is hot for everyone, embrace it and push on. While others are embracing the last mile and taking in the atmosphere, you are putting time on your competitors, digging deep and ensuring you do not leave a second on the course as there will be plenty of time to soak up the atmosphere after you have crossed that line. Of course, I will be a case deep listening to the Boss singing Glory Days on repeat as you all run down Ali’i Drive in two weeks.